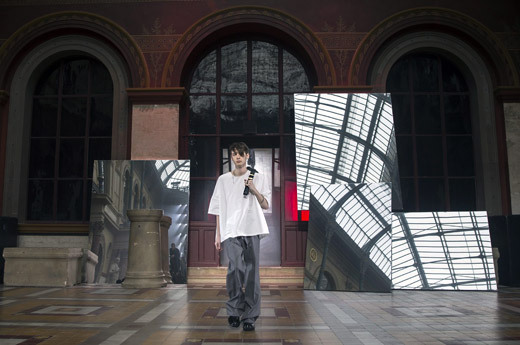 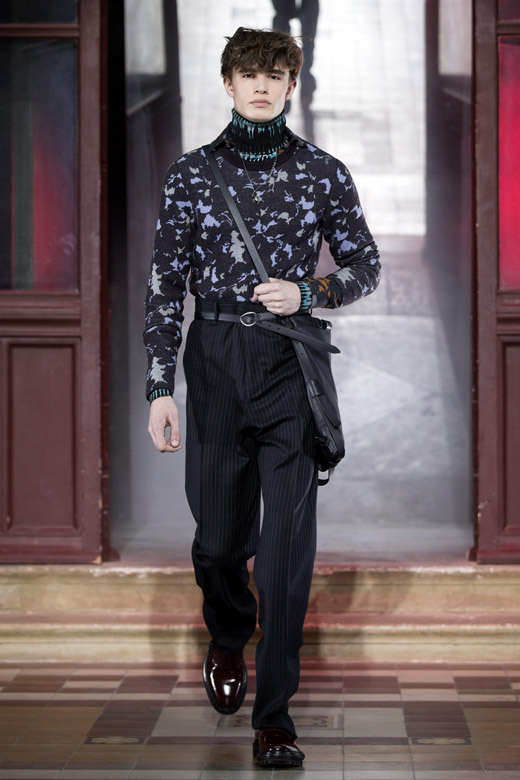 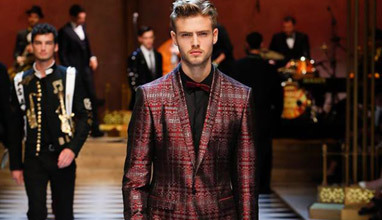 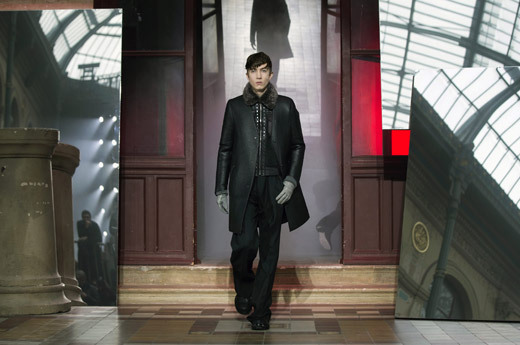 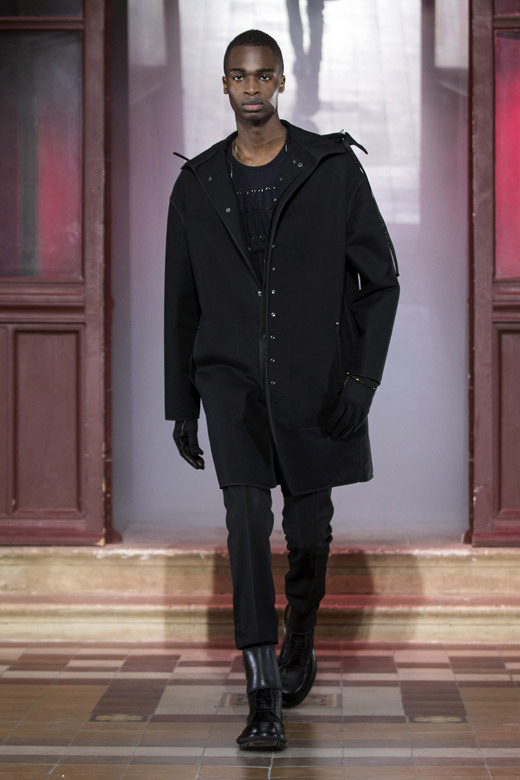 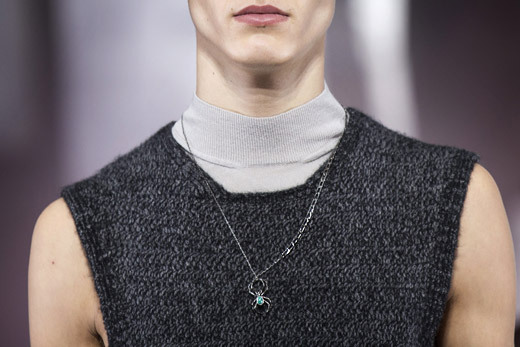 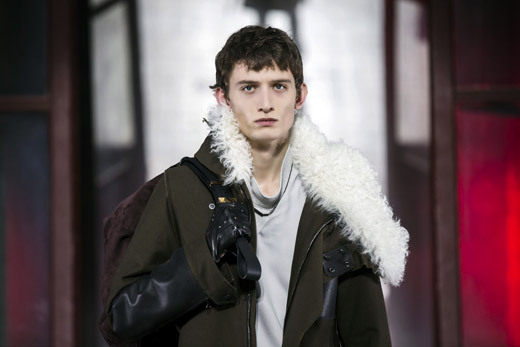 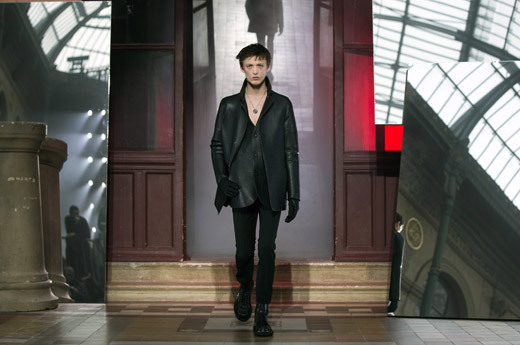 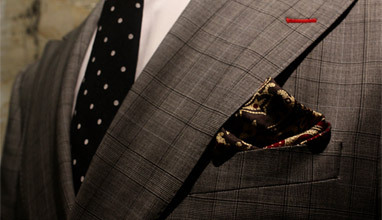 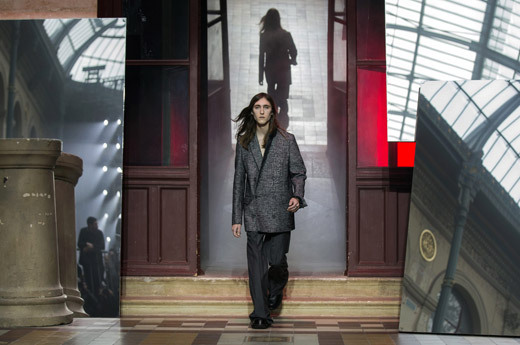 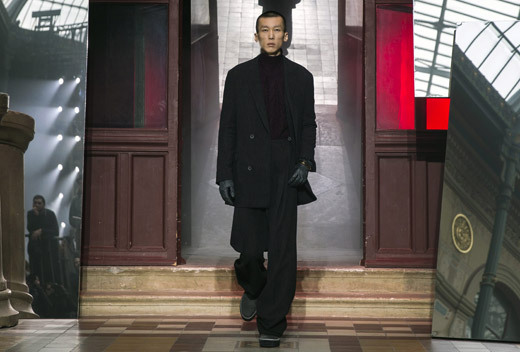 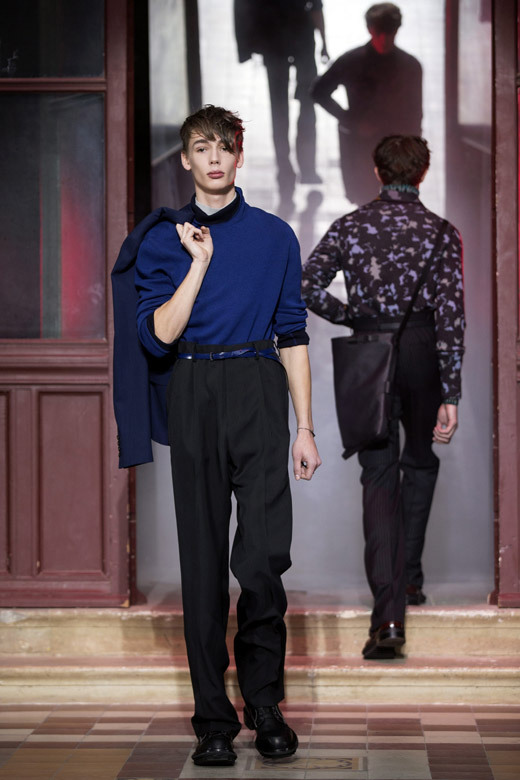 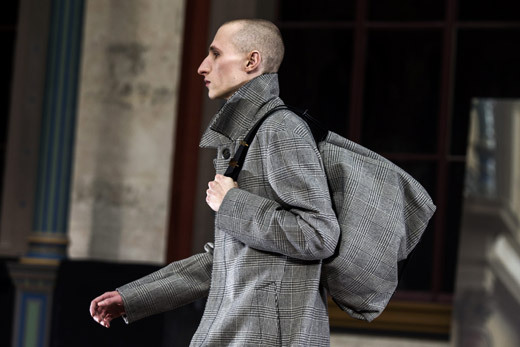 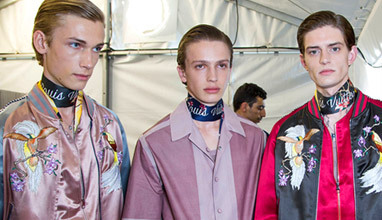 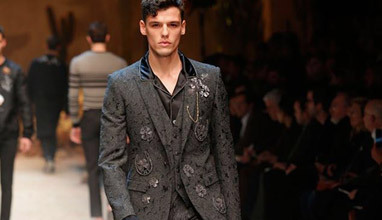 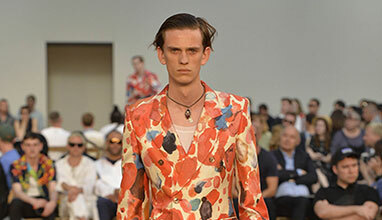 Yesterday (January 25, 2015) during the Fall-Winter 15/16 edition of Paris men's fashion week (January, 21-25, 2015), US designer Alber Elbaz and Dutch designer Lucas Ossendrijver presented their menswear designs for the French fashion house Lanvin. 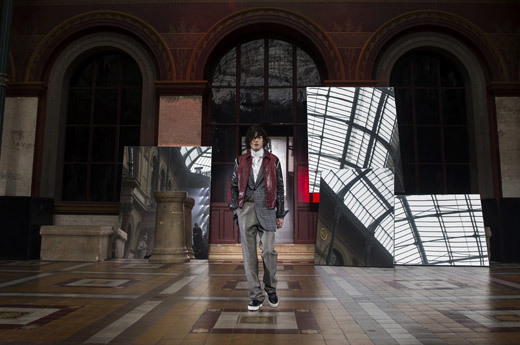 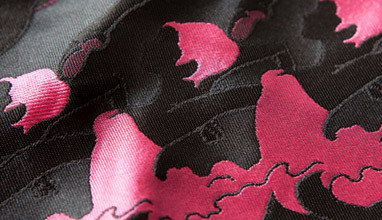 A play between proportions and volumes - high-waisted, loose fitted and hang on the legs trousers; leather and neoprene; jackets and parkas lined with shearling or embellished with chains and metallic eyelets - you can find all these and much more in Lanvin's collection for the next cold season. 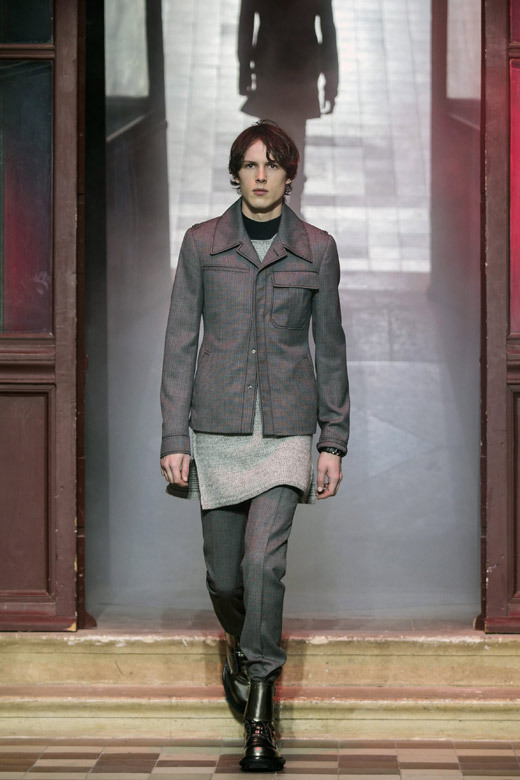 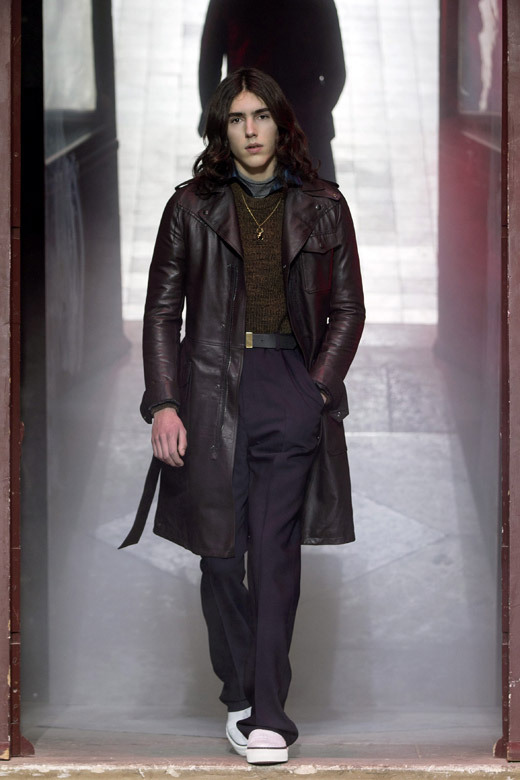 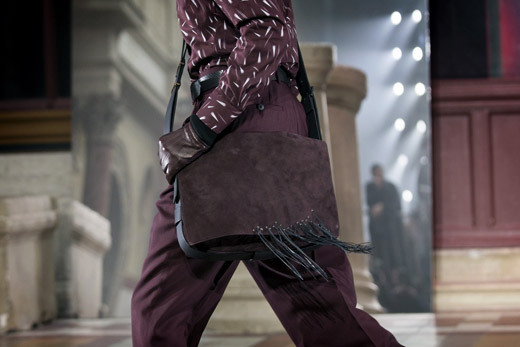 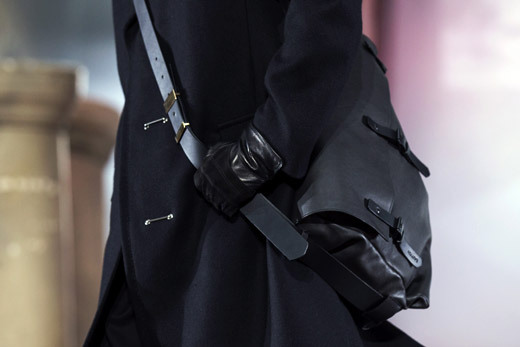 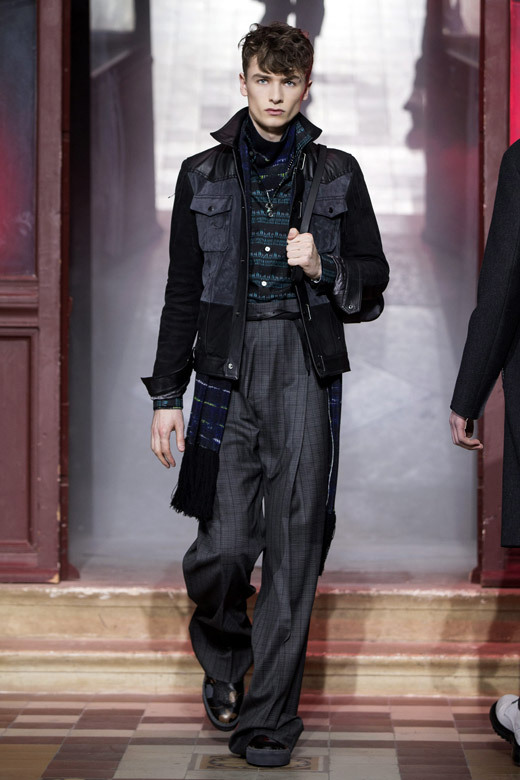 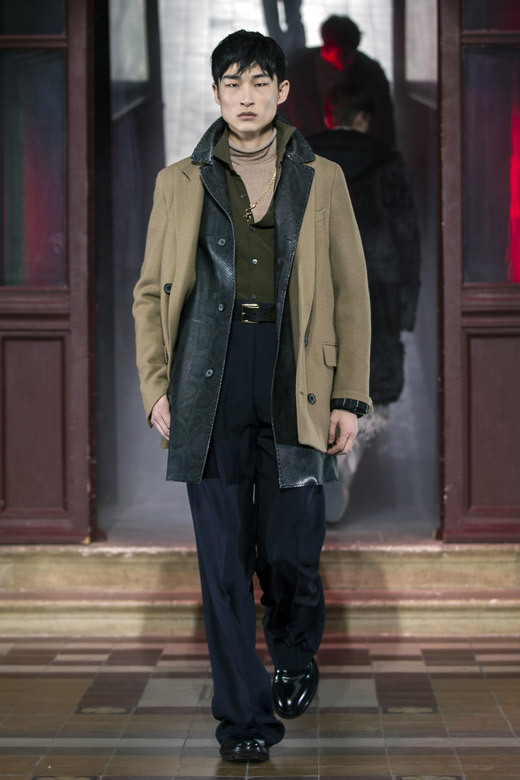 Lanvin Fall-Winter 2015/2016 menswear collection offers also: linear, military, minimal, gray silhouettes, a variety of textile patterns (tweed, flannel, Prince of Wales check, hounds tooth), all-in-black looks, embroidery, metallic details and little chains, layering. 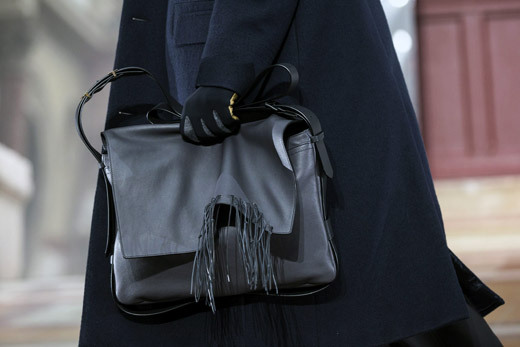 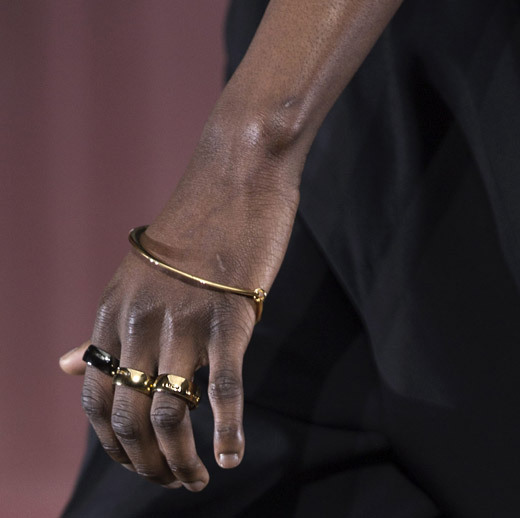 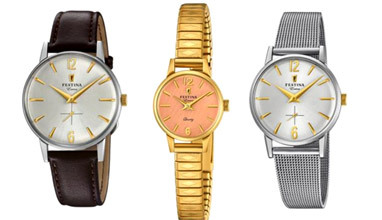 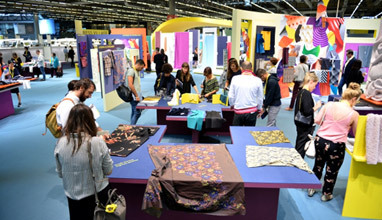 Bags with fringes, golden rings and bracelets, spider pendants were the designers' choice for accessories.